With Phase I on the books it is time to begin the next phase. Hear options for Phase 2 easements and give input on what area should be next. Ask questions, offer suggestions and stay informed. Catch up on our accomplishments. Meet and catch-up with neighbors and friends. Meet the new WMC officers. Water, lemonade and plates etc. provided Please bring something for a light potluck supper and your own adult beverage if desired. Purlieu means “a piece of land on the edge of a forest,” but also has the connotation of a person’s usual haunts. In the case of painters Sharon Charney and Anne Williams, both definitions apply to the land behind their suburban homes in West Meade. 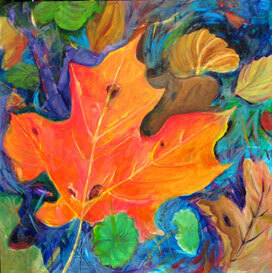 Both painters interpret and protect their natural world. Sharon Charney’s bold, realistic images are often spontaneous and colorful. She paints from life in acrylic on board and canvas. Often she is inspired by what she picks up on her walks through the forest. 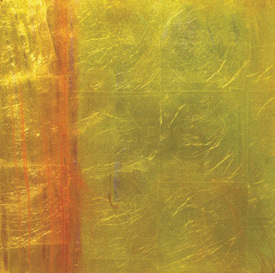 Charney received her degree from University of Wisconsin where she studied with Milton Resnick, a first generation New York abstract expressionist. Charney has worked as an art teacher, has exhibited widely, and is represented in many private collections. Anne Williams’ abstract paintings, often quiet and still, capture moments of nature. Williams sets out to define an ephemeral moment. Her paintings, which are oil on silver-leafed hardboard, shine from within. Williams received her degree from Peabody College and has worked in virtually all areas of the arts: framing, teaching, illustrating, and as a studio painter. Both women are active in the West Meade Conservancy. This non-profit organization, founded by Charney’s son, Dr. Noah Charney, works to protect the old growth forest in that area and educate the public about its importance. The West Meade Conservancy and The Land Trust for Tennessee hosted an event to mark the completion of the first group of easements. This took place on December 12 (2011) at WestMeade Middle School. Refreshments were available while people perused displays, chatted and enjoyed themselves. 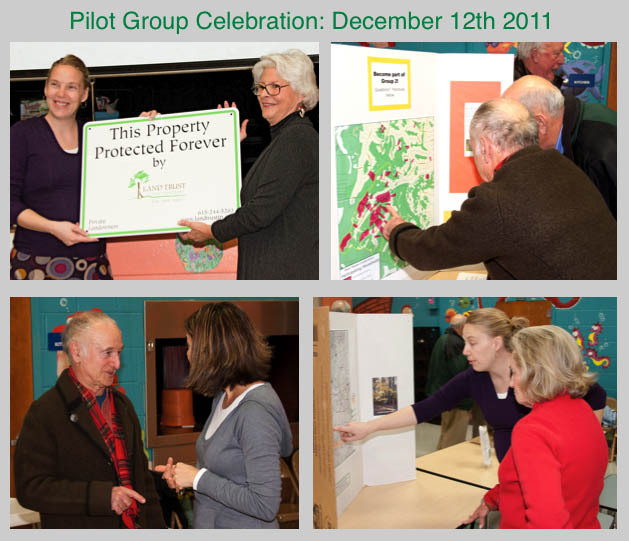 Audra Ladd gave a brief talk and slide display before handing out signs for the protected properties, and Nancy Smith spoke as representative of the pilot group. 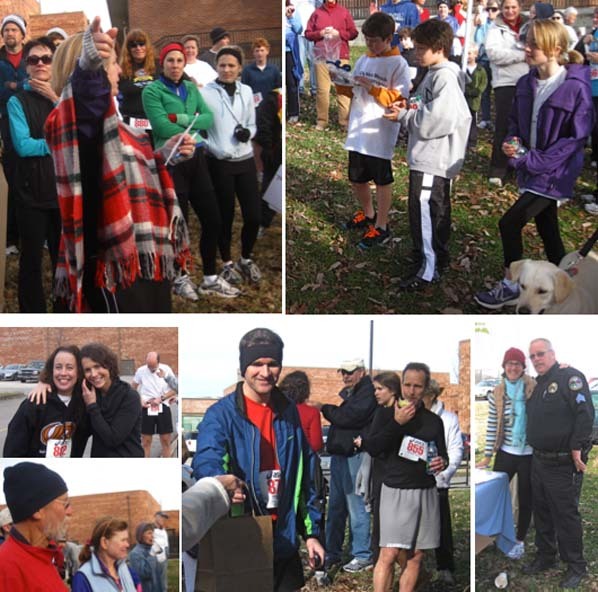 WMC’s Second Annual Run/Walk took place on a fine, brisk morning with about 100 people registered to participate. The 2011 “three-carport” Garage Sale was again a great success thanks to the skill of Nancy Smith. There was a wide variety of merchandise available for purchase including paintings, china, crystal, jewelry, books, tools, athletic equipment, electronic equipment, and toys. We gathered on a beautiful day in the height of wildflower season to celebrate early spring and discuss our future steps in seeking conservation easements. Among several fund-raising measures, some West Meade Conservancy supporters are working on a book, Noah and the Arc . “The Arc” is Nashville’s Conservation Arc (Ecological Corridor), and the plot centers on the struggle to preserve West Meade’s part of the arc. We took photos of the crowd during Saturday’s meeting to be part of the book’s ending. WMC’S HALLOWEEN EVENT — FUN FOR ALL AGES! The Gordon Jewish Community Center — 801 Percy Warner Blvd.